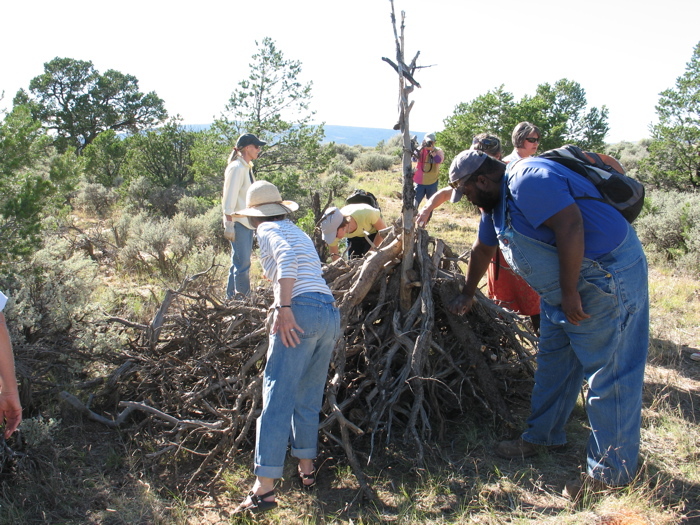 Environmental artist and sculptor for wildlife, Lynne Hull, presented a rare public workshop for artists, teachers and other interested persons to create shelters and other sculptures for various species of wildlife for NeoRio 2010. 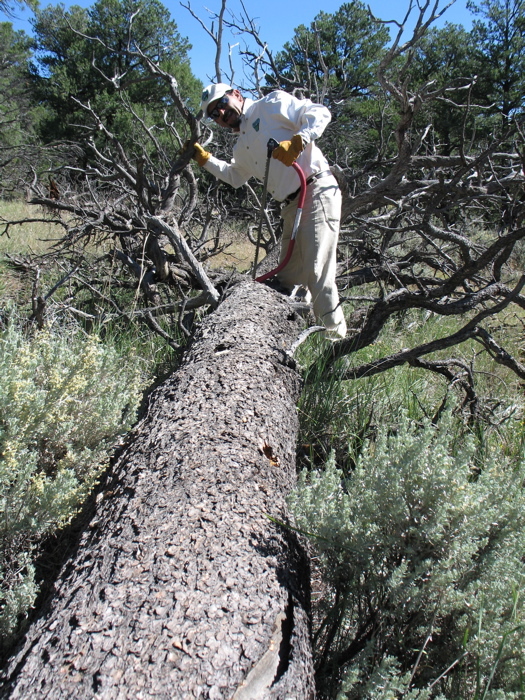 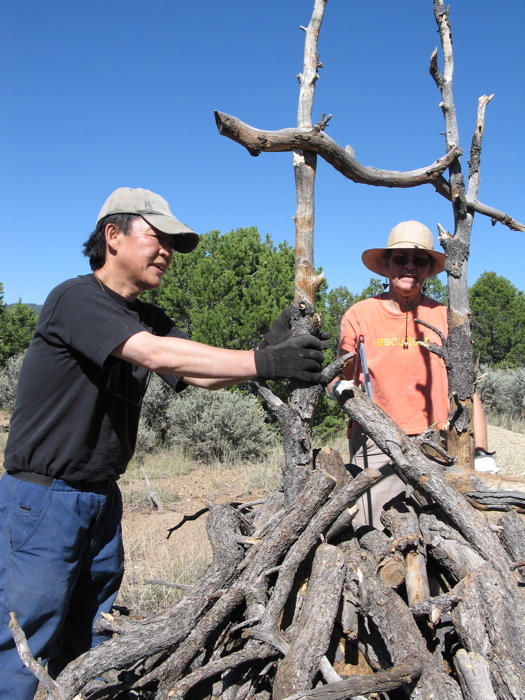 Participants on Friday created sculptures utilizing recycled dead trees in the area. 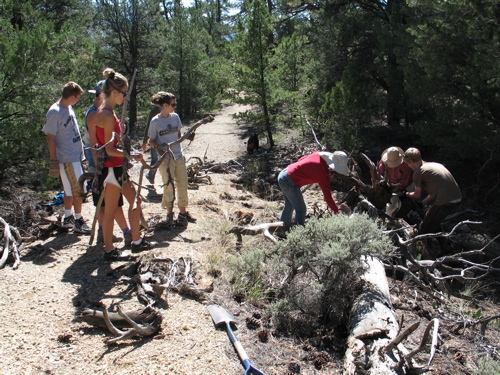 Engaging youth was an important part of NeoRio 2010. 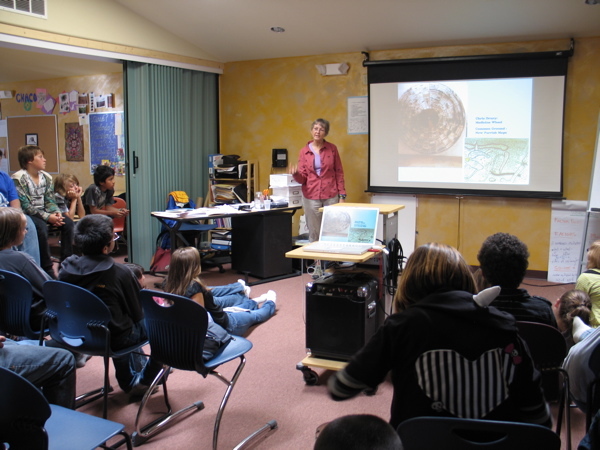 Lynne visited “Roots and Wings”, a local charter school, where she gave an abbreviated version of her artists talk and invited students and their family’s to come to the activities the following weekend. 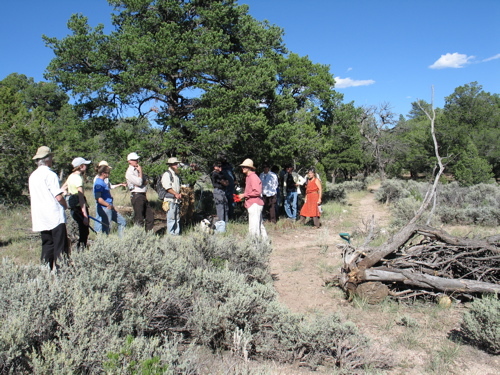 Lynne also led a workshop for University of Colorado Students visiting from Boulder to attend NeoRio, in which she facilitated a group-building of a sculpture for wildlife utilizing a “dead and donw” ponderosa pine tree. 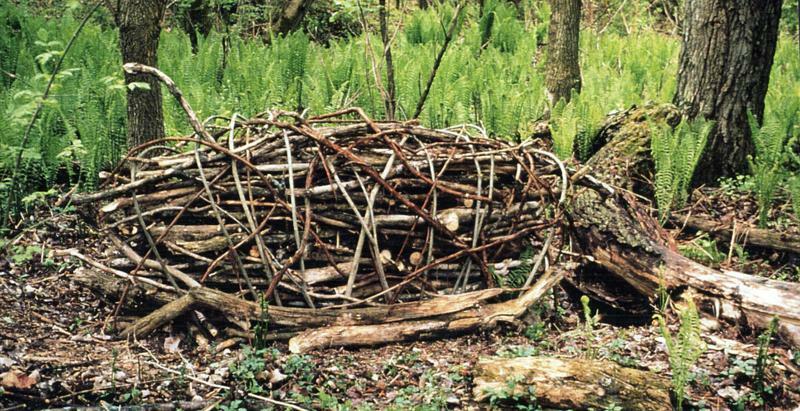 Lynne’s workshop concluded with experimentation with site-based temporary installation from natural materials, following the example of Andy Goldsworthy. 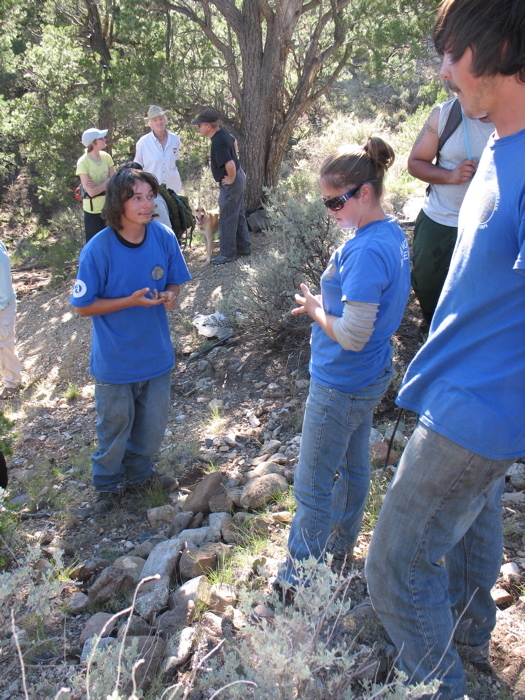 RMYC get the hang of "media-lunas"
Lynne also shared her knowledge about some of the restoration engineering concepts of Bill Zeedyke (creating small, hand-built stone sculptures to slow erosion in runoff areas), with Rocky Mountain Youth Corps participants working at the Wild Rivers Recreation Area. 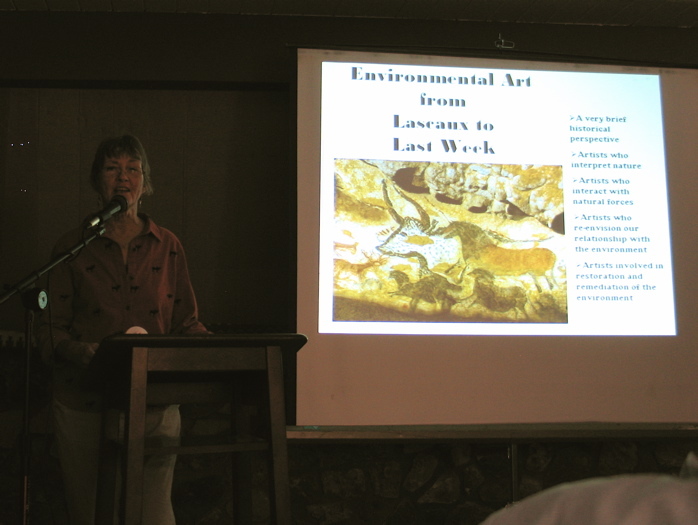 On Saturday, September 25th, the public was invited to attend Lynne Hull’s lecture, “From Lascaux to Last Week”, an overview of environmental artists working with nature, ecology, water and land restoration and to tour her sculptures. 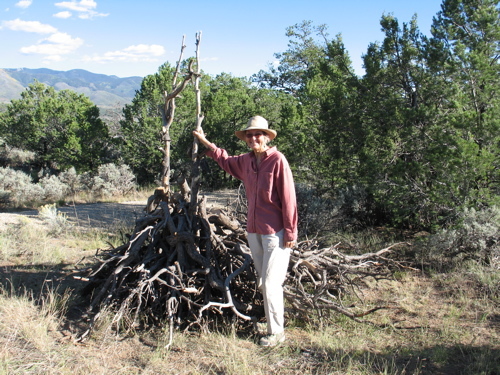 During her time at Wild Rivers, Lynne facilitated the creation of three site-specific sculptures for Wildlife by students, artists and members of the public and inspired the building of “medi luna” rock crescents, as well as other temporary installations of natural materials. 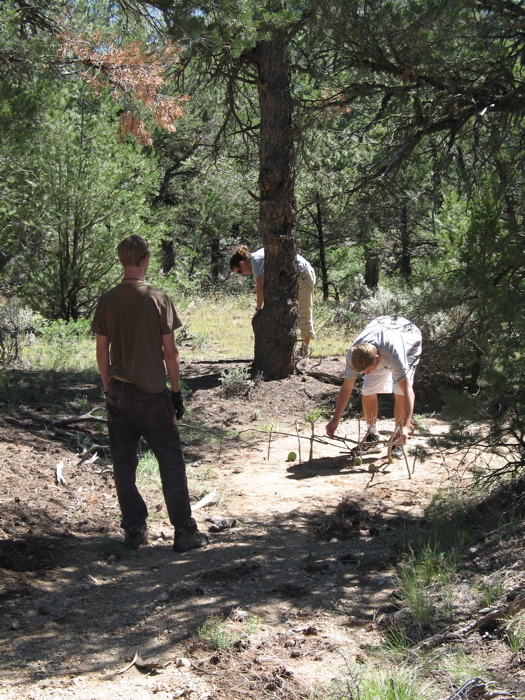 Visitors are invited to continue to add to these collaborative sculptures, as they did during the Sculpture tours during NeoRio 2010. 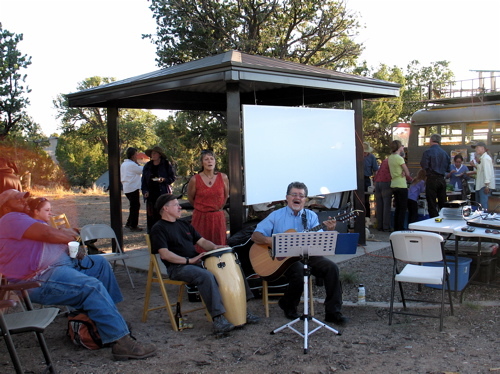 Connie Long becoming part of the "Ponderosa Family"
Lynne Hull’s artist talk and sculpture tour was followed by an evening celebration with food, socializing and live music around the campfire. 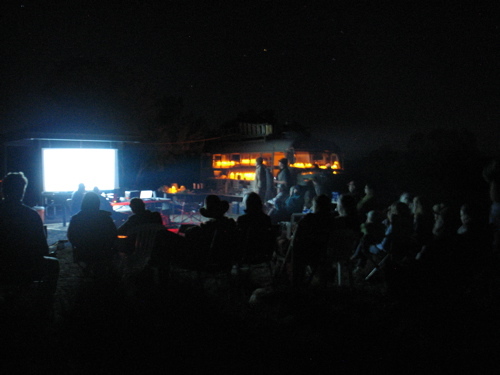 The day concluded with an outdoor short film screening (projector powered by solar batteries!) 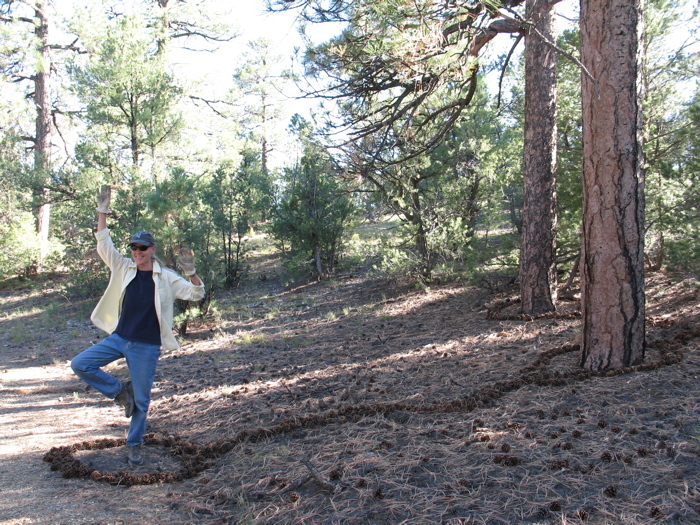 on the rim of the gorge with films by John Wenger and Stephen Ausherman. 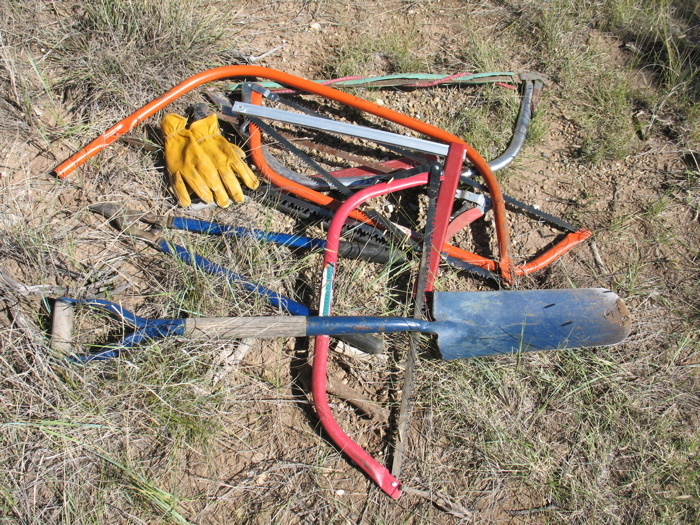 For a google map of where these events took place and how to come and visit Lynn’s sculptures, click here.